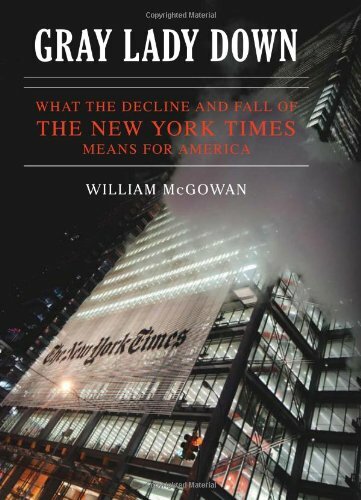 William McGowan's new book, Gray Lady Down, is a right-wing work of media criticism directed against New York Times. The New York Times Book Review will not be reviewing it. But why not? Ah, there is a juicy controversy there! McGowan (unsurprisingly) says that the Book Review is scared to review his book, and is kowtowing to the NYT bosses by ignoring it. He apparently leaked an email exchange he had with NYTBR editor Sam Tanenhaus to Times Watch, a site dedicated to "Exposing the Liberal Political Agenda of the New York Times." In it, McGowan tells Tanenhaus he's dropped off a copy of his book, and asks him for a review; Tanenhaus replies that "Encounter [the book's publisher] has had a stated policy for some years now of not sending us books because, as I understand it, Roger Kimball does not want them reviewed in the Book Review. Of course that is his choice. But until he changes his mind we're not in a position to consider any Encounter titles for review." This whole business is either brazen hypocrisy or a bad joke-a naked attempt to invent controversy where none exists. The author's complaint isn't with us at TBR. It is with his book publisher, Roger Kimball, who announced some time ago that he was boycotting NYTBR by not sending us books. He did this in the full knowledge that except in the case of some embargoed titles we are accustomed to receive galleys, usually months in advance, so we have adequate time to assess the submitted book, find a reviewer, and then schedule and edit the review. Roger also knows very well that TBR doesn't accept books from importuning authors-that, like other book review sections, we deal exclusively publishers, who verify pub. dates and supply finished and additional fact-checking copies when we request them. Roger's giving the author the "go ahead" is empty posturing. If he wanted us to review the book he would have sent us an advance reading copy. He elected not to. This is of course his prerogative, though a a number of Encounter authors have grumbled to me about this policy because they know it's unhelpful to them. Tanenhaus also included the full email that McGowan sent to him (which was quoted in the Times Watch story). "I hope he's not responsible for this ridiculous item," Tanenhaus wrote, "which seems to me the opposite of 'civility and cordiality.'" "Sam: I dropped off Gray Lady Down late last week. 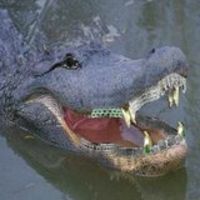 It's a swamping time of year but I hope you can get a chance to take a look. I realize you and Roger Kimball have had some tension over reviewing books by Encounter, but he did give me his go-ahead to give it to you, if I wished, and so I did. I think the book shd be read as coming from the loyal opposition, a la Dan Okrent, and while it may not be everywhere flattering it is, to the best of my ability, everywhere fair. I do recall you telling me at the LAT Book Awards thing at the National Arts Club a few years ago that this time around I would get a review. (Unlike [McGowan's last book] Coloring The News.) I appreciated that very much, but also realize things do change in unforseen ways. So you have my pledge of civility and cordiality no matter what.